InsurTech start-up Lemonade has announced the signing of a $300 million Series D funding round led by SoftBank Group, with participation from Allianz, General Catalyst, GV, OurCrowd, and Thrive Capital. Lemonade is one of the most high-profile companies to emerge from the insurance technology wave with aims to digitising the entire insurance process; the company claims to collect 100 times more data than traditional carriers. 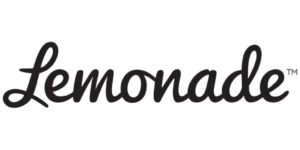 Lemonade says it plans to use the funds to accelerate its US and European expansion in 2019, and explore new product lines. “In less than three years, Lemonade has expanded across the US, given back to dozens of charities chosen by our community, and fundamentally changed how a new generation of consumers interacts with insurance,” said Daniel Schreiber, Chief Executive Officer and cofounder, Lemonade. This significant funding round comes off the back of an active year for InsurTech investment. Analysts at Deutsche Bank found recently that volumes had increased by more than 60% between 2017 and 2018. Data also showed that InsurTech investments (across all stages) totalled $2.6 billion during the first three quarters of 2018, compared with $1.6 billion for the same period in the previous year. Concurrently, recent analysis by two industry executives highlighted that, despite recording robust premium growth in 2018, generating a sustainable loss ratio below 100% remained a challenge for InsurTechs. This transaction is subject to customary closing conditions including regulatory approvals and targeted to close in Q2 2019.